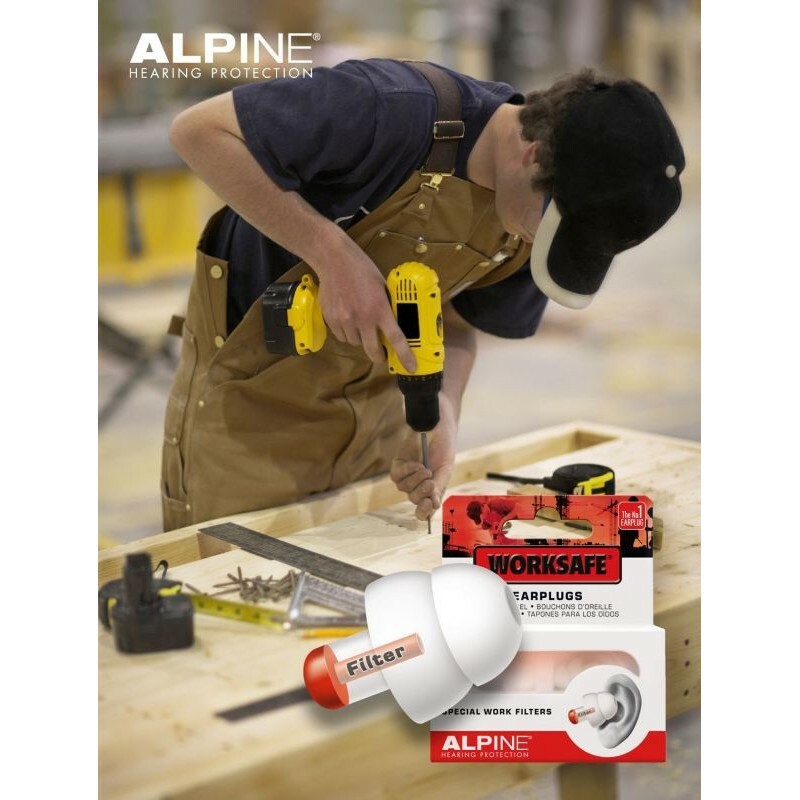 Alpine Worksafe,pPeople who do DIY jobs around the house also benefit from proper hearing protection. A significant number of people work in excessively noisy environments on a regular basis or even daily. For this particular group the risk of hearing damage is very high. 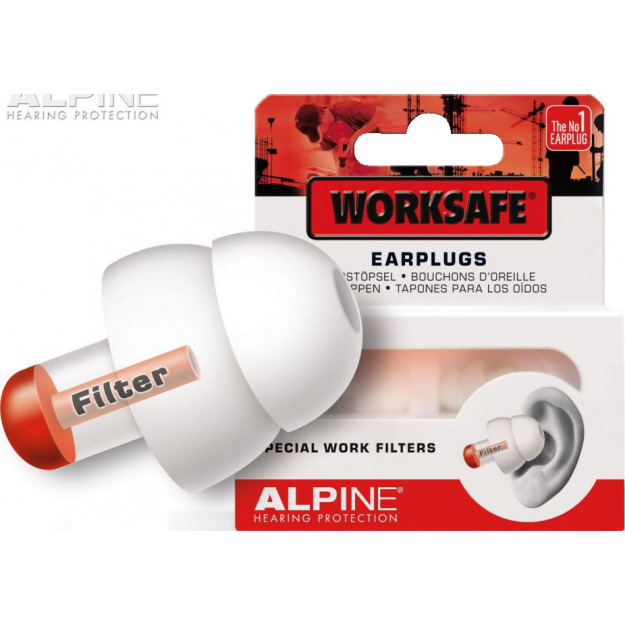 When working in excessively noisy environments it is absolutely crucial to wear proper hearing protection. 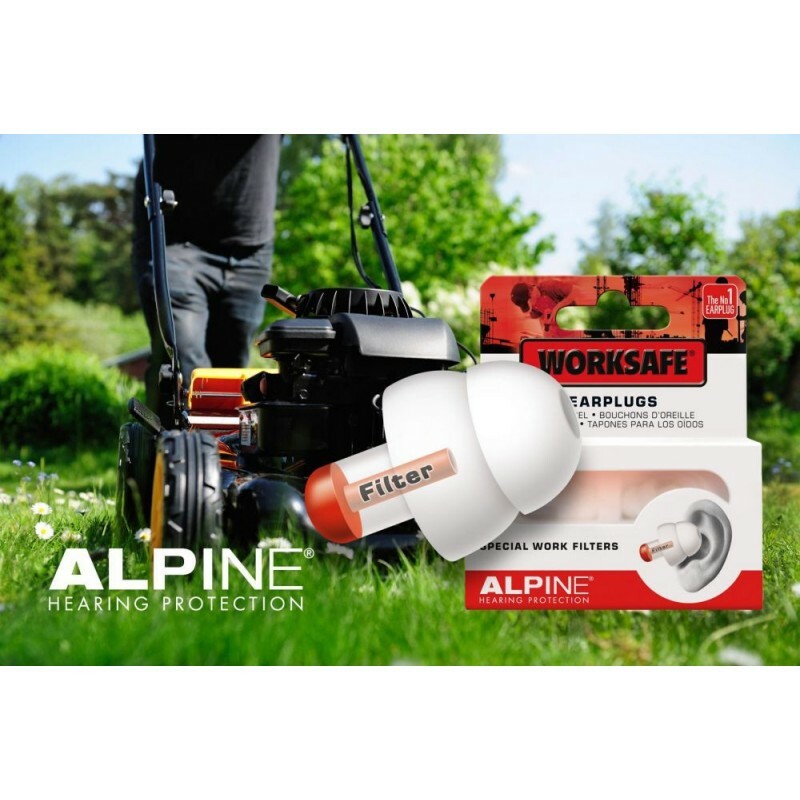 People who do DIY jobs around the house also benefit from proper hearing protection. 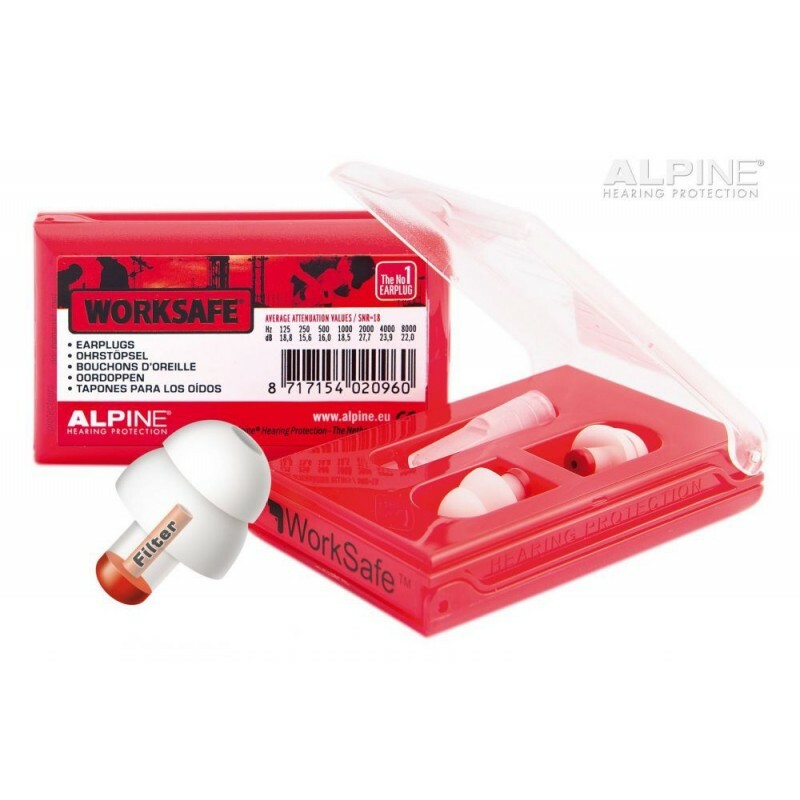 Alpine has developed ideal earplugs both for at work and for use during hobby activities: The WorkSafe. The special acoustic filters in the WorkSafe earplugs protect against excessive ambient noise. The noise is reduced to safe levels which can be endured for eight hours without any problems. Thanks to the filter you remain sufficiently aware of your surrounding and speech intelligibility is preserved. 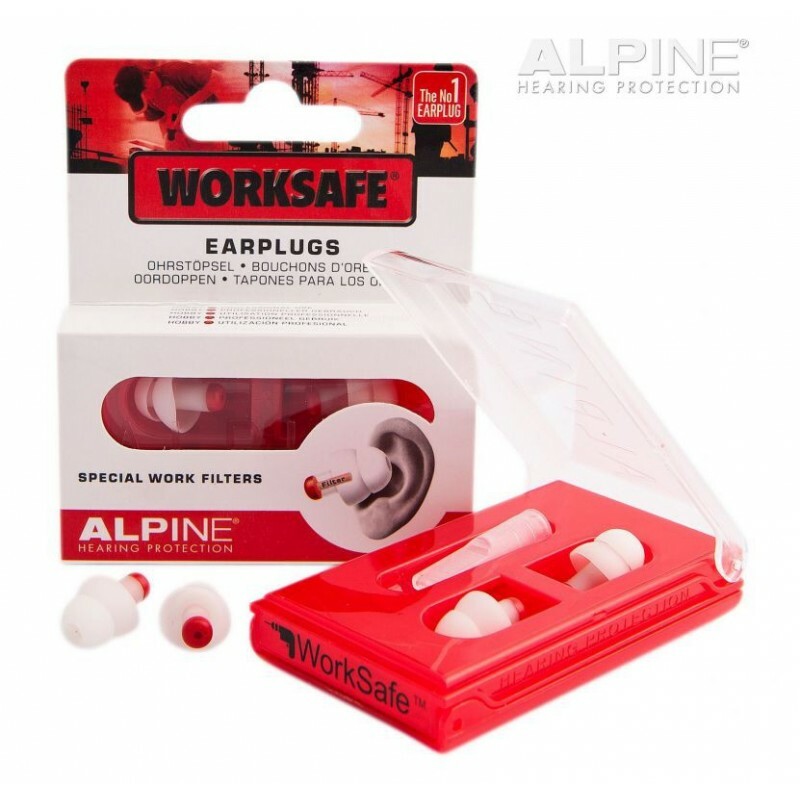 WorkSafe earplugs are made from a soft thermoplastic material. The warmth of the ear causes the earplugs to adapt to the shape of the ear canal. This makes them very comfortable to wear and means the hearing protectors can be worn for eight hours at a time without a problem. 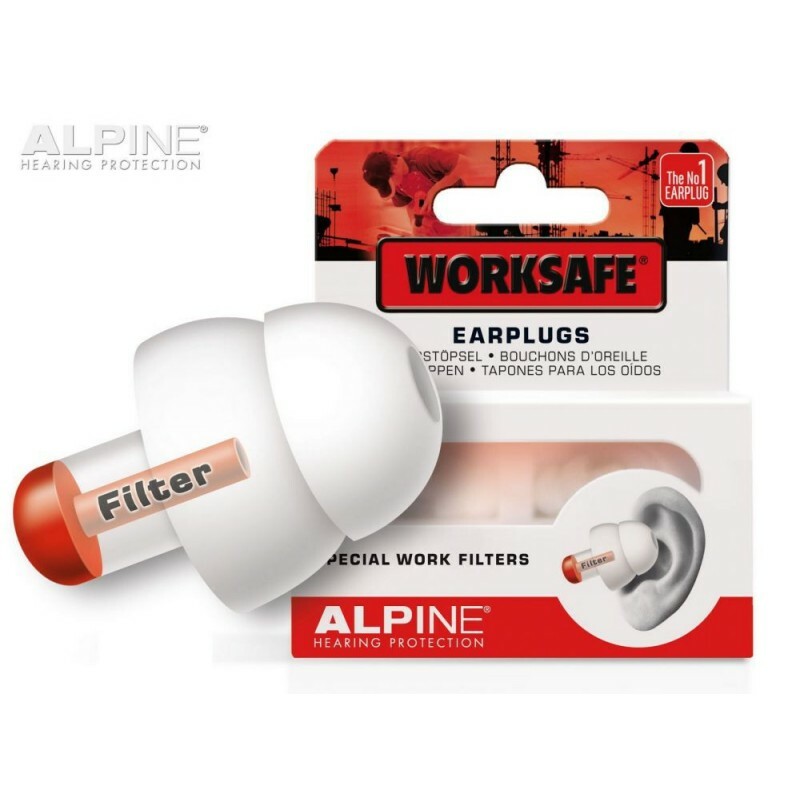 WorkSafe earplugs are barely visible in the ear. 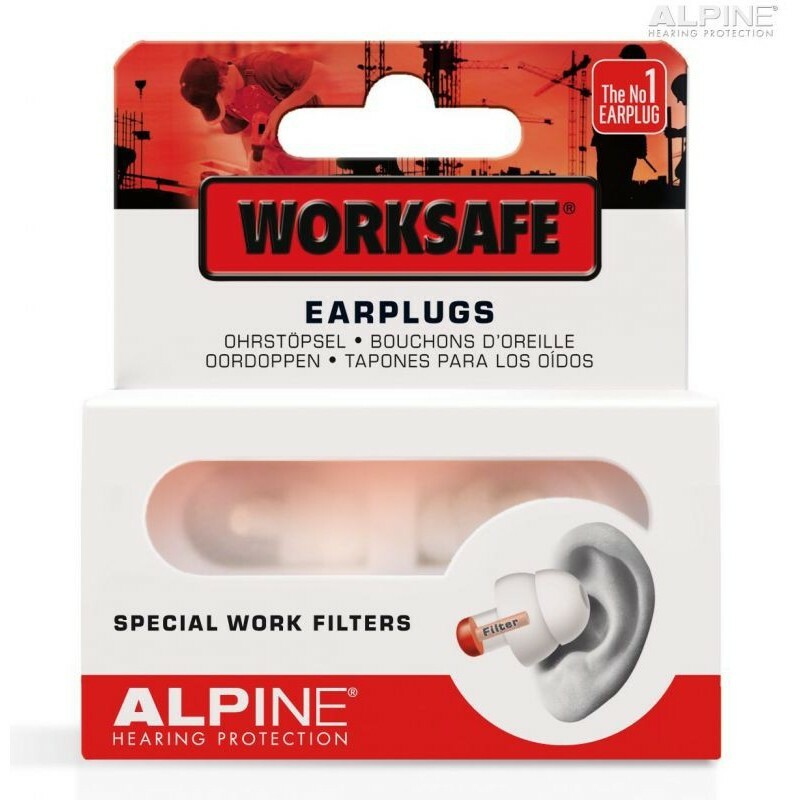 The lifespan of WorkSafe™ earplugs depends on the frequency of use. 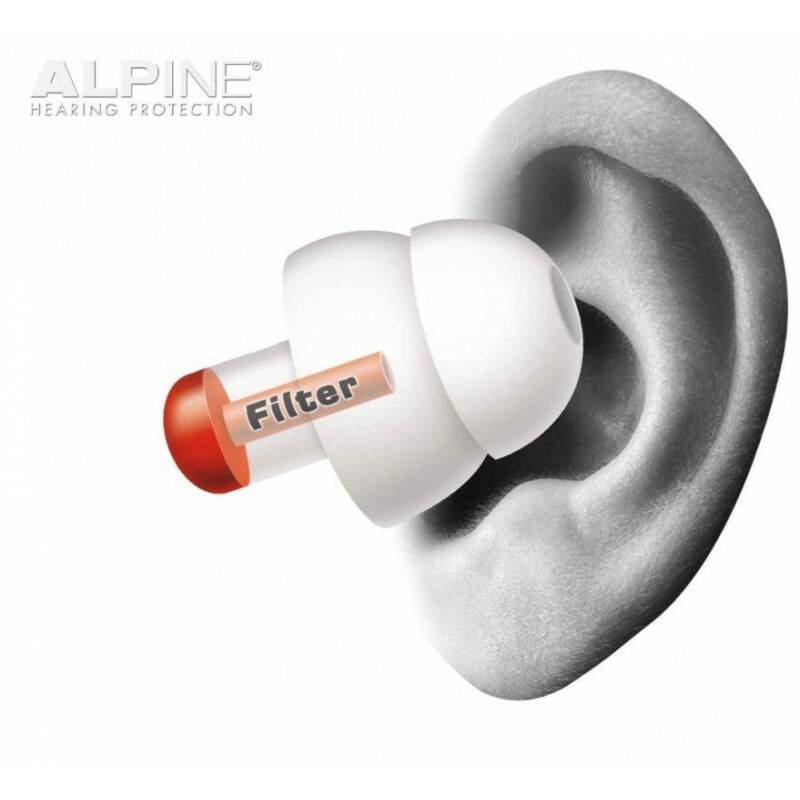 Keeping the earplugs clean prolongs the lifespan.